When your name is synonymous with quality, it goes without saying that your promotional giveaways must follow suit. Yeti® is one of the most popular brands in the country at the moment, so supply is often limited. 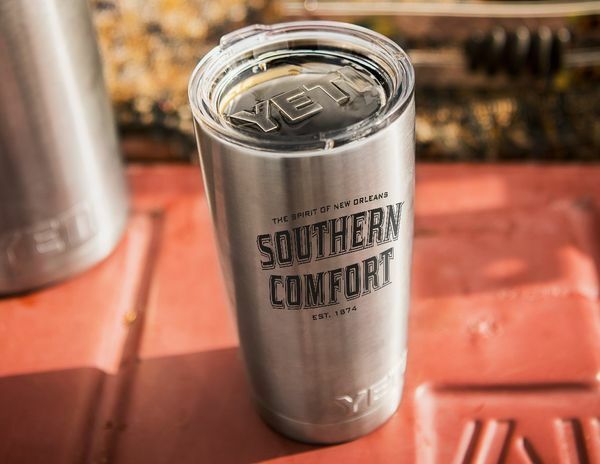 Sourcing thousands of tumblers and having them all perfectly engraved with the new Southern Comfort® logo requires relationships with a number of industry partners. Our sourcing team was able to secure the required quantities and even negotiate below MSRP pricing by bidding out high-volume orders.